Malawi Police have confirmed that a gang of five men armed with pangas and dangerous implements roughed up a guard at the offices of the Centre for Human Rights and Rehabilitation (CHRR) in the capital, Lilongwe, demanding the address of its outspoken Executive Director Timothy Mtambo – who happens to be Human Rights Defender Coalition (HRDC) current chairman. Civil rights activists, through chat-rooms and blogs, have seen government’s hand in the attempt on Mtambo’s life because, apart from the demand of its Executive Director’s address, nothing was stolen at the CHRR office but they hacked a guard. “The guard has been treated as an outpatient and has been referred to Kamuzu Central Hospital for further examination. He has suffered swollen head and two front teeth have been weakened,” said rights activist Gift Trapence. G4 Security firm which are guarding the CHRR offices also confirmed the incident and said the matter was reported to Police. National police deputy spokesman Thomeck Nyaude confirmed receiving the report and said they are investigating the matter. But Trapence and Mtambo suspect the notorious ruling Democratic Progressive Party (DPP) to have carried out the attacks. Mtambo said the DPP youths cadets came around seven or eight in the evening but when the guard shouted, they drove off only to retain three hours later. “When they came back, they asked for my directions to my residence before they dropped the petrol bomb at the gate of our offices,” he said. He said they hacked the guard after he refused to give them directions to the house of Mtambo. “The guard was taken to hospital before we reported the matter to police,” he said. 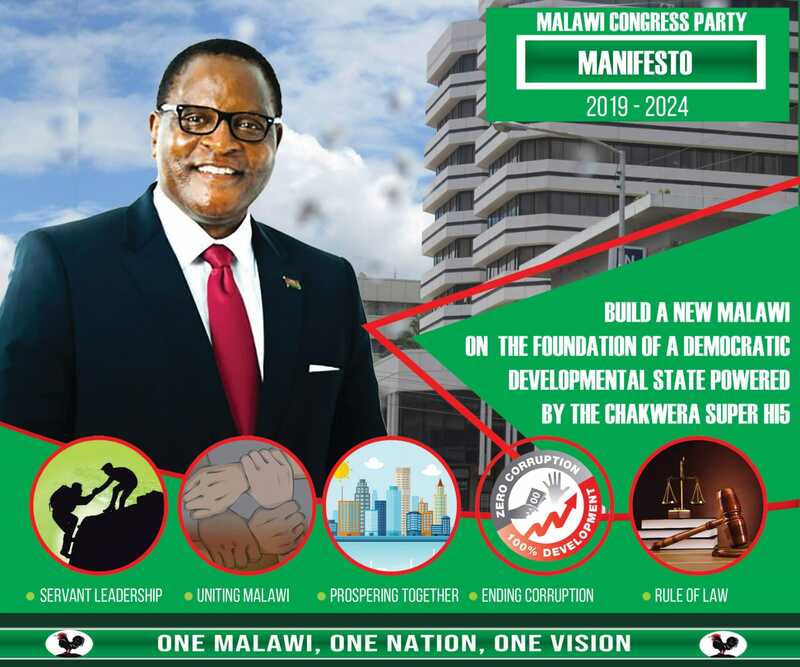 Mtambo said civil rights activists in Malawi are receiving anonymous phone calls threatening them with all sorts of harms, including death, for their open criticism of the DPP administration on economic and governance issues. “These might be DPP cadets because we have been receiving threats from them. We strongly believe they are DPP cadets,” he said. “The threats have come in many forms, some are death threats, others are messages that simply indicate that they (the civil society leaders) are being followed or traced and others are indicating that they will be dealt with in a variety of ways,” said the fearless activist. But DPP spokesperson Nicholas Dausi has rejected the claims, saying the DPP has no such time. He said it is only the police which can come up with a professional investigation on who petrol bombed the offices. DPP cadets petrol bombed the same offices seven years ago when the DPP founding leader Bingu wa Mutharika was in power. Police fail to investigate issues to do with cadets as their commander in chief Peter Mutharika is also the president of the DPP. He said the failure of the Police to institute and in some few cases conclude investigations into these alleged death threats has often given ammunition to the perpetrators of such threats to continue doing so knowing very well that no one will hold them accountable. I don’t think kuti anthu ofuna kupanga chipongwe akuluwa angakafike kwa ma guard nkumati “Mtumbo amakhala kuti?” Guard nso amadziwa kumene ma staff members amakhala? It look more like a staged plot to get people’s attention ngati za Kamlepo zija. I think ma plan amuthera uyu basi. Man tazingomwani kachasu m’town mu, palibe akukufunani ayi, a Malawi atopa nanu. Ma vendor nso atopa nanu akuti mumawasokonezera ma business awo. Asavutitsa a Police zakumatako basi. Hahahaha Really? I love you CSOs and I appreciate the work you are doing in this country. But this holy-crap staged-up petrol bomb is horribly embarrassing and insulting the intelligence of Malawians. No more further comment. I am just ashamed. Nyasatimes trace this mans ip address it must show on your system and pass it on to FBI or Scotland Yard. This comment cannot be by anyone other than the culprits themselves. OLD AGE IS A DISEASE AND IT BECOMES EVEN A BIGGER DISEASE WHEN YOU HIT THE EIGHTIES. STUPID TACTICS LIKE THREATENING THOSE WITH OPPOSING VIEWS ARE ASSOCIATED WITH THE OLD KAMUZU WAY OF THINKING.WHAT IF ALL OF US TARGET DPP OFFICES AND SUPPORTERS ACROSS THE COUNTRY,SURELY NOT EVEN THE POLICE CAN PROTECT THEM. Kodi angakhalenso ndani, ndi Chaponda ameneyo. He knows impending demonstrations have the ability to bring down government. And any fall of APM is a cardiac arrest warrant for himself, a jail or suicide. You can only expect him to deal ruthlessly with UTM members and their supporters and CSOs. No tears for this idiot.